ROTC instructors teach in nearly 1,100 colleges throughout the United States. If you’re a military veteran or serving on active duty, then maybe Uncle Sam has a place for you as a Reserve Officers' Training Corps instructor. Since 1926, ROTC instructors have helped prepare men and women who seek to become military officers in the U.S. Armed Forces. 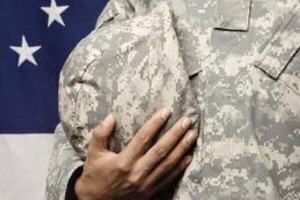 The hours are long, while the pay -- well that’s another story -- but you will get a chance help many young people prepare for military careers as part of your duties. Although each service branch varies slightly regarding educational requirements of its ROTC instructors, most colleges and universities prefer applicants with at least a bachelor’s degree. However, you may need to possess a master’s degree if you plan to teach such disciplines as science, engineering and physics. Also, you should have a thorough knowledge of your service branch’s military customs, history and military drill. If you haven’t done so already, take additional courses such as public speaking and facilitation skills training. To be a successful ROTC instructor, you should be ready to teach cadets how to succeed in their chosen service branch. Serving as a role model is always a good practice to follow, especially in a military setting. Prior to submitting your application for consideration as an ROTC instructor, you should be within the established height and weight standards and successfully pass the physical fitness test required by your respective service branch. Most colleges and universities require their applicants to be commissioned or noncommissioned officers with a myriad of leadership experiences. Commissioned officers who have earned the rank of captain, which is an O-3 or above, and who have received an honorable discharge are qualified to become ROTC instructors. Officers who have earned their surface and aviation warfare designators are usually given special consideration because of the emphasis placed on mathematics and science when obtaining these certifications. 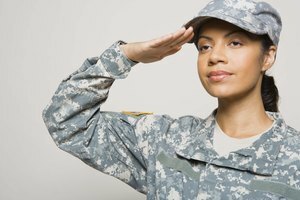 Enlisted personnel must have obtained the status of a noncommissioned officer. Usually, staff sergeants -- or E-6 equivalents and above -- with backgrounds in advanced electronics, nuclear propulsion and aviation have higher chances of being selected as ROTC instructors at the collegiate level. ROTC instructors need to teach leadership qualities, enforce high academic standards and discipline and emphasize the importance of physical fitness and character in young cadets. 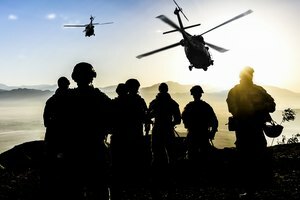 During your military career, you should have acquired a substantial amount of experience in leading and managing people. 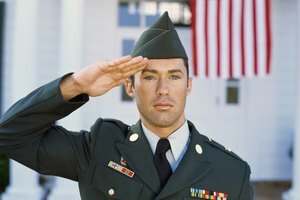 ROTC instructors are expected and required to maintain a high standard of integrity and sound judgment in their personal and professional lives. This may be the most important part of serving as an ROTC instructor and as a role model for young students. Richmond, Kenneth. "What Do You Need to Be an ROTC Instructor at College?" 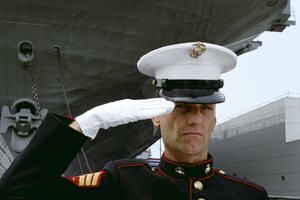 Synonym, https://classroom.synonym.com/need-rotc-instructor-college-6223.html. 26 September 2017.